Located just 15 minutes from downtown Indianapolis and the Indianapolis International Airport, the 490-acre Plainfield Business Center is home to premier industrial space. Since 1997, Opus has brought 13 industrial buildings to the center. These buildings have contributed to Indianapolis’ recognition as a proven market for industrial development. With an increase of larger speculative developments in the market, Opus Development Company responded to the market conditions, taking advantage of low vacancy rates with Airwest 12 and 14. 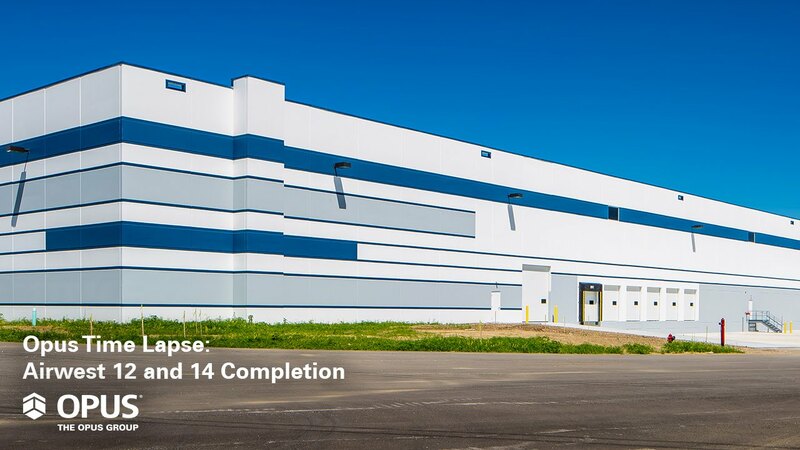 The two side-by-side speculative warehouse buildings total 924,530 square feet. Airwest 12, at 448,305 square feet, and Airwest 14, at 476,225 square feet, are owned by Northwestern Mutual®. The modern bulk buildings feature 36-foot-clear heights, 250 vehicle parking spots, 100+ trailer parking spots, 100+ dock doors and four drive-in doors. Each building also has ESFR sprinkler systems and T5 lighting. Opus Design Build was contracted to complete tenant improvements for Ford Motor Company in Airwest 9, which was originally built in 2007. Ford uses the facility as a distribution center for automotive parts. Opus constructed an office area, expanded the dock capacity with new equipment and additional doors, new lighting and paint, and upgrades to the HVAC system. Construction was completed in August 2014.